Q Is this lamp a powder blue or slightly green blue? Also, the picture shows acrylic base. Is that available instead of the wood described? 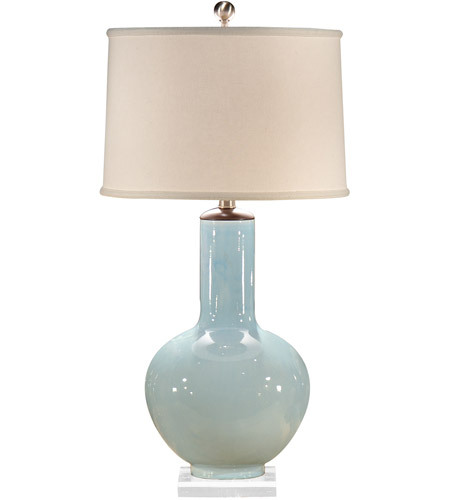 A The Wildwood Lamps Bottle Blue Table Lamp 13115 is powder blue and the wood is the accent at the top. The base is brass.